Gillette Venus and Fusion Shave Gels are on sale for $2.99 at Rite Aid. They are also included in a Plenti Points promotion: buy one and receive 100 Plenti Points worth $1.00. Use the Points to pay for a future transaction. 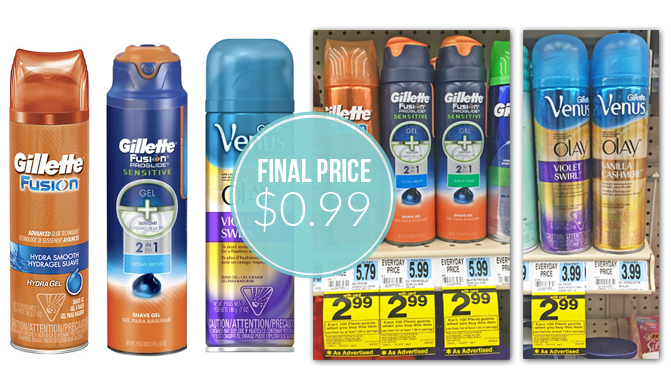 Buy one shave gel, use one $1.00 Red Plum newspaper coupon, and then receive the Points. The final price is $0.99!